Have you ever wondered why we make the choices we make and whether there is something more behind our decision that gives the world a glimpse of who we truly are? Choose the mask which calls to you and you’ll get your answers. 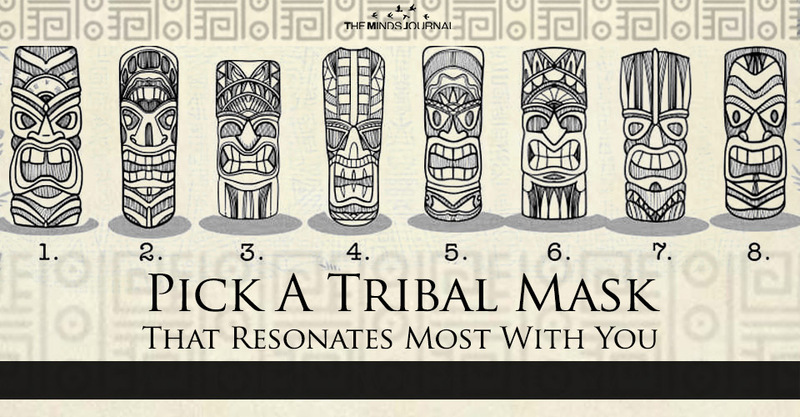 If you’ve chosen this mask, you are most likely a person who is excellent at communication. Words come easily to you and you can always count on them to get you out of a tough situation. Your enemies are afraid of you because they know how much damage you can cause to them when you start talking. You don’t have to put in any physical effort to completely annihilate them. But you also do not use words the wrong way. You don’t just say whatever comes to your mind. You are well aware of their power and so you always think twice before saying what you have to say. You understand that they can be used to cause both pain and joy and you always do your best to ensure that it is the latter and not the former. If you’ve chosen this mask you are most likely someone who is always looking to have fun and doesn’t really care for what other people think about you. You prefer laughter over tears and you’ll grab on to any opportunity to have a good time. You are always present in the here and now and you like to extract that flavor out of each moment. Your best characteristic is that you are brilliantly humorous. This also shows that you are extremely intelligent, more so than most people. You are quick to spot jokes and you have no problems laughing at your own expense. If you’ve chosen this mask, you are most likely a person who has darkness hiding just under the surface of the mask that you wear when you are out in the world. Rage is boiling just under that mask and you never know when all that is bottled up inside will come bursting out. It doesn’t take a lot to set you off. But while you have these tendencies, you have also taught yourself how to remain impassive. You can stay relaxed and put together but you don’t like it when someone tries to irk you on purpose. If they’ve cornered you they are in for a surprise because you will push back with a lot of force. Those who know you best would know that threats would never work on you and whoever does that to you will only regret it. If you’ve chosen this mask, you are someone who prefers silence over noise and someone who finds strength in that silence. You know that there is a power inside you and you don’t need anyone else to tell you what you are capable of. However, you also possess an inherent modesty which ensures that you don’t lose your humility and become vain.